Worksheet for the younger ones working on place prepositions. 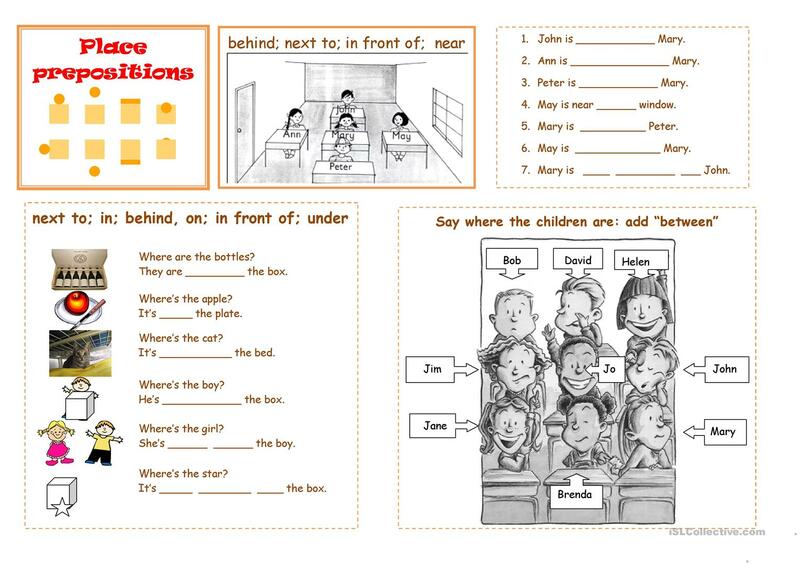 The above downloadable printable is recommended for elementary school students at Elementary (A1) and Pre-intermediate (A2) level. It is great for teaching Prepositions and Prepositions of place in English, and can be used for developing your students' Reading and Writing skills. It includes the answer key, too.